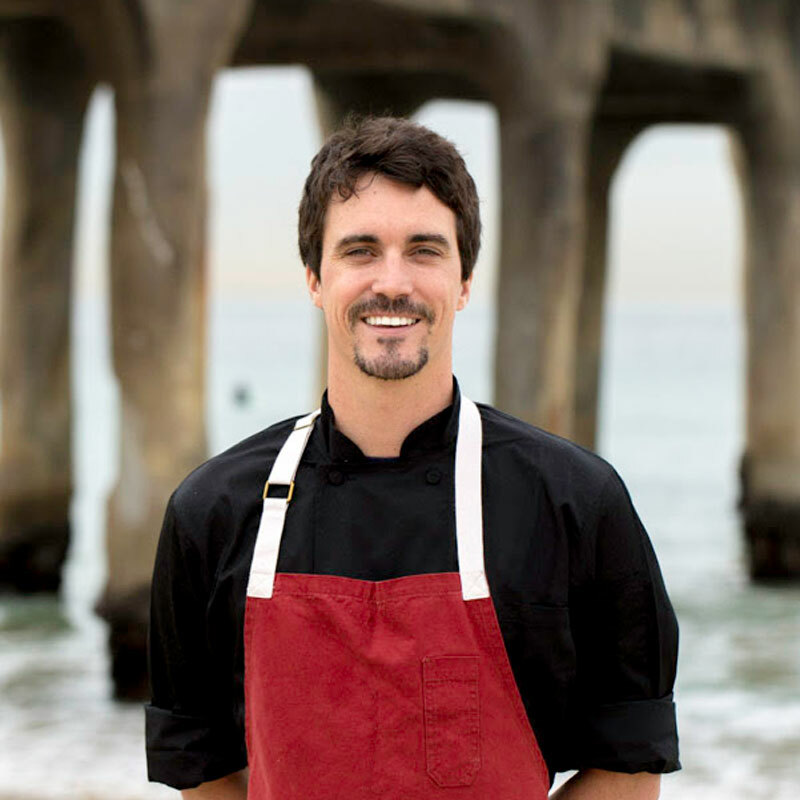 A South Bay local, avid surfer, baseball player and potter, Cobb started his culinary career at Redondo Beach’s Chez Mélange before moving to Avellino, Italy where he began working at Michelin- starred restaurant, Marenna. This early career experience had significant impact on Cobb and solidified his passion for cooking while instilling discipline and a drive for excellence. Upon returning to LA, Cobb became the personal chef for Will and Jada Pinkett-Smith. He was then introduced to Top Chef Master Neal Fraser and was offered to work at his top LA restaurant Grace. During this time, Cobb joined Fraser to help open The Strand House in 2011. With the introduction of The Strand House Culinary Masters Program, Cobb was able to collaborate alongside several of the country’s most notable chefs. Chef Cobb then left The Strand House with Chef Fraser to be Executive Sous Chef at the critically acclaimed Redbird. Cobb has a New-American, free style way of cooking that blends inspiration from cuisines all around the world. He brings healthy, fresh, flavorful food with a seasonal emphasis to The Strand House guests. Along with Cobb’s strong pedigree and extensive training, he demonstrates an exemplary work ethic dedicated to using the freshest seasonal ingredients and upholding to the fine quality of dining at The Strand House. Due to Austin’s passion for being a potter, he also crafts some of the serving plates for his dishes at The Strand House.